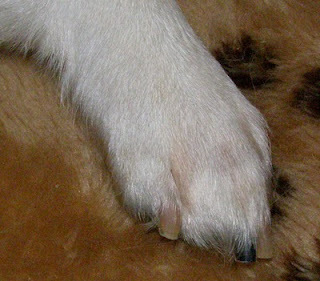 Yesterday I filed just one nail (which she handled well) and today she received a full 'peticure.' 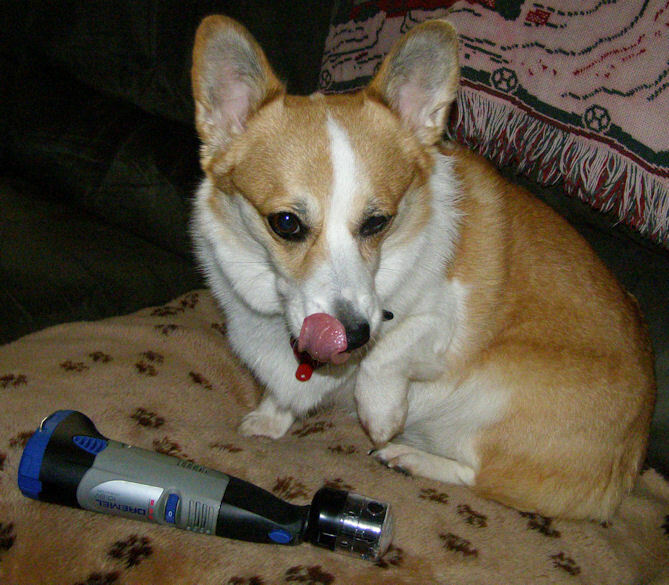 As leery as she is about all things different, she has accepted the noise and vibration of the Dremel tool quite well. I used the coarser of the two sanding bands that came with the Dremel due to the length of her nails. I believe that the fine sanding band will be enough from this point on. Peticure recommends filing dogs' nails every two weeks to recess the quick. When the process is this painless there is no reason NOT to do their nails, as often as necessary, to keep them their optimal length. Pretty and painless! w00t! AND w00f! Transporting us from Ave Maria's home in the Blue Ridge Mountains to the Italian Alps, from New York City to the Tuscan countryside, Milk Glass Moon is the story of a shifting mother-daughter relationship, of a daughter's first love and a mother's heartbreak, of an enduring marriage that contains its own ongoing challenges, and of a community faced with seismic change. 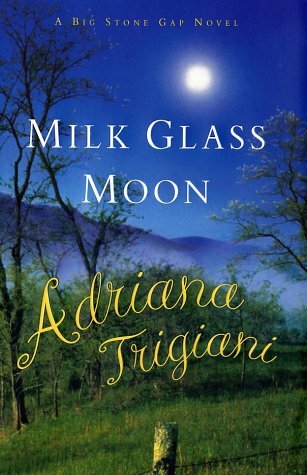 Milk Glass Moon is currently the third of four novels in the Big Stone Gap series. I read this gem in one day and although eager to start the fourth book, Home to Big Stone Gap, I find I'm also preparing myself for the end of the series. I will miss everything about these "down home" people. They are warm, caring, colorful, opinionated, and real. I have come to love hearing them (complete with 'twang') in my head as I read about their lives. Adriana Trigiani has created and developed characters whose lives, although fairly ordinary, are exceptional in so many ways. Although there are crises and loss, the feelings that are evoked in Milk Glass Moon are positively heartfelt. 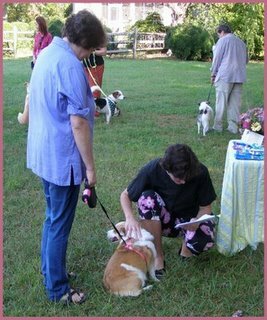 We took Lizzie to the Blessing of the Animals, where she was blessed by my sister-in-law. Lizzie, may you be blessed in the name of the Father, and of the Son and of the Holy Spirit. May you and Virginia, "Daughter", and "Husband" enjoy life together, and find joy with the God who created you. All of the animals were very well behaved, even the cats. It was a lovely ceremony. We ALL feel blessed. Starting off, I think that Lizzie had a good day today. This in spite of the fact that she was: 1) left alone for several hours; 2) was startled by the peculiar sounds emanating from the creatures on the Lord of the Rings: Return of the King; and 3) got her nails trimmed and filed. My trusty guillotine style nail trimmers are very dull. Lizzie has behaved well, but skittish during past trimmings. 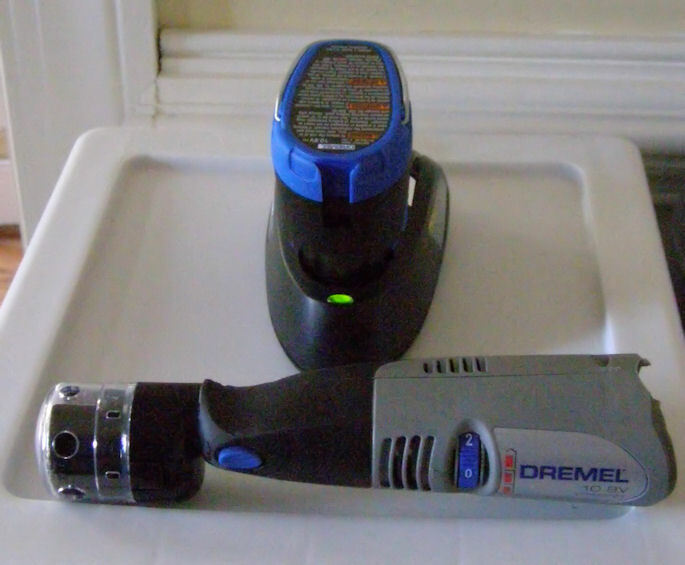 I have a new Dremel Rotary Tool here and a Peticure Safe Guard on order. Once I did the research and decided to order the Peticure Safe Guard I wanted it yesterday. The website says, "Expect four to six weeks shipping due to demand." I'm really hoping to be surprised by it arriving much earlier. I wasn't successful in finding an effective guillotine style trimmer to use, which made me feel more anxious about her lengthening nails. The brand new ones I tried performed worse than my current "old" one. For tonight's nail trimming I put her on a bed with a towel under her, and cut only the very tip of each nail off before 'going crazy' with the nail file. I was calm and assertive (does that sound familiar?) and she remained calm and trusting. Yay Lizzie! She's very calm when left home alone, which is vastly different from how it was with my last dog, Tucker. I'm not sure she'll ever get used to thunderstorms, lawnmowers, and loud movies, but I feel good knowing I give her comfort just by being beside her and remaining calm. She also seems to be getting more playful. She aggressively chews on her Nylabone several times per day. She's taken a shine to her rope chew AND to her "fluffy man" toy. She gets highly animated with them, which makes her humans happy. We all get extremely silly when she gets silly. Good fun all around, I'd say. 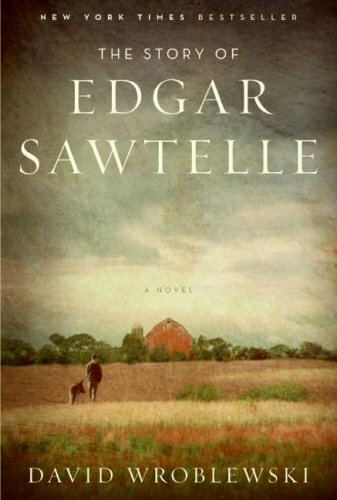 There was much I found compelling in this story—mainly Edgar and the dogs. 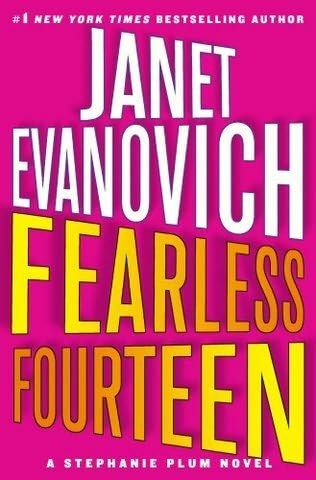 However, the same things that compelled me to finish the book lead me to, what I feel, is a hugely disappointing ending.